IU Simon Cancer Center « Davis & Associates, Inc.
Davis & Associates completed the general trades package for the construction of this $107 million dollar, 5-story cancer hospital. 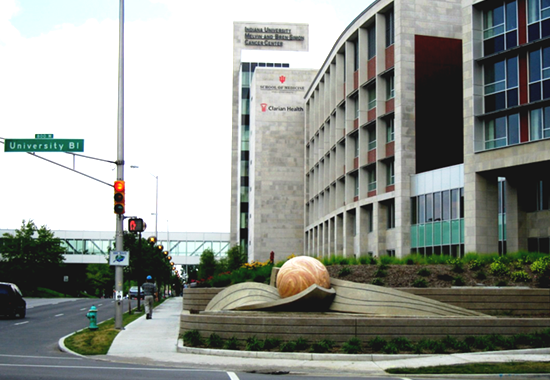 With leading medical research, this IU facility is attached to the current hospital. The general trades package included: general conditions, rough carpentry, doors, frames & hardware, automated doors, coiling grilles and division 10 specialties. Davis & Associates was responsible for the management and coordination of over 25 subcontractors, suppliers, and part of the partnership team’s workforce.